Senator Dino Melaye may have succeeded in putting in abeyance the move to recall him from the senate, his mouth has put him in another problem. Various media reports said the federal government has filed a two-count charge against him for allegedly giving false information to the police in relation to a claim he made April 17 of an attempt on his life. In the charge, the Kogi West senator is accused of falsely incriminating the Chief of Staff to Governor Yahaya Bello of Kogi State, Edward Onoja David, in his assassination attempt claim. He was accused of deliberately giving false information to the police to frame Governor Bello’s Chief of Staff as the mastermind of the assassination attempt on him at his hometown in Ayetoro-Gbede in Kogi State in April last year. According to the charge, the police discovered the alleged falsehood in Melaye’s claim while investigating the Senator’s allegation that some individuals attempted to assassinate him. In the second count, Melaye was accused of making false statement of facts in a phone conversation with Mr. Mohammed Abudu Abubakar, a son of the late former governor of Kogi State Abubakar Audu, with the intention of harming the reputation of David. In the charge, Melaye’s alleged offences are said to be punishable under sections 140 and 393 of the Peal Code Law, Cap. 89, Laws of Northern Nigeria, 1963. Melaye was said to have told Abubakar, son of a former Kogi State Governor, in a telephone conversation how he framed Edward Onoja David in the assassination attempt. He was also said to have made the false claim in the statement he made to the police on April 17, 2017 during police’s investigation into the alleged attempt to assassinate him. No date is set yet for his arraignment. 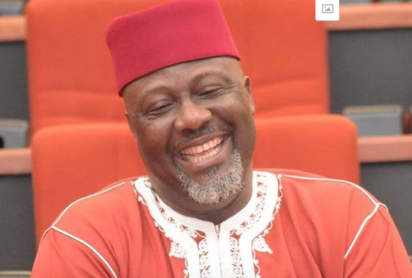 The post Fresh trouble for Dino Melaye appeared first on Vanguard News.